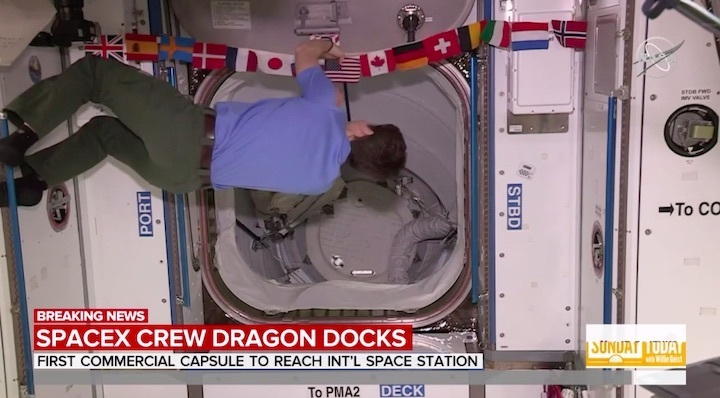 A little more than a day after launch, SpaceX’s Crew Dragon capsule successfully docked with the International Space Station early Sunday morning after autonomously maneuvering itself, marking another major milestone of this test mission. The capsule did not have humans on board. Instead, it carried 400 pounds of supplies for the space station and a mannequin passenger named Ripley, outfitted with multiple sensors to measure her ride to space. 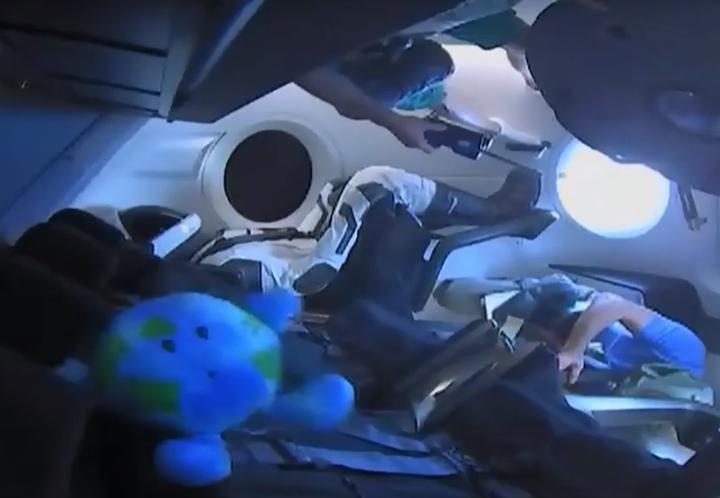 This was the first time a SpaceX capsule had attempted to attach itself to the station. 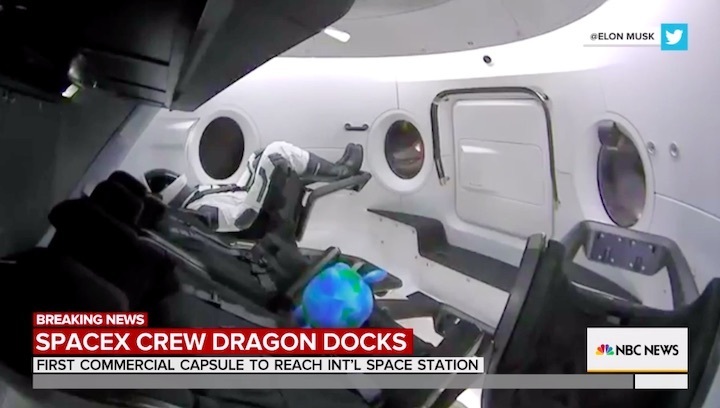 During the Hawthorne company’s previous 16 resupply missions, its Dragon cargo capsule hovered below the station until it was grabbed by a robotic arm and attached to a port. This time, the capsule gradually maneuvered itself closer to the station before docking on its own. 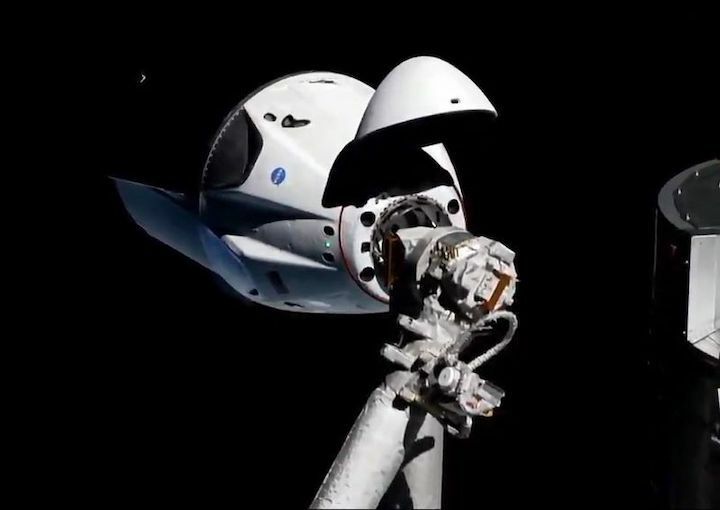 Two astronauts aboard the station monitored the Crew Dragon’s progress and sent commands to the capsule until it was about six feet away. At that point, the capsule took over and attached itself to the station in a “soft capture” at 2:51 a.m. Pacific time. “Hard capture,” meaning the capsule firmly latched onto the station via 12 hooks, occurred a little after 3 a.m. Pacific time. 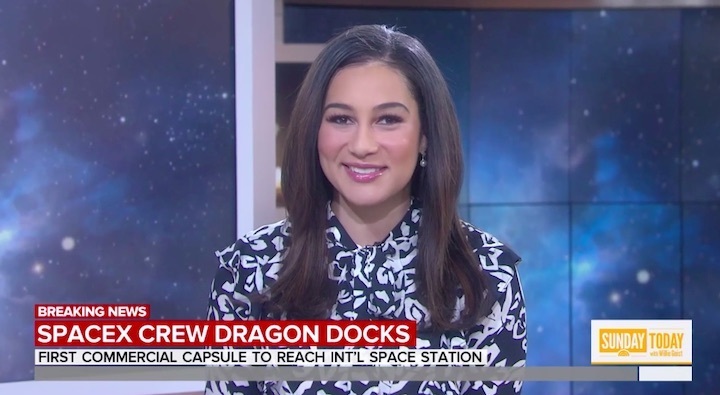 Bob Behnken, one of the two NASA astronauts who will be on the capsule’s first crewed test mission, said it was “super exciting” to see the Crew Dragon dock. 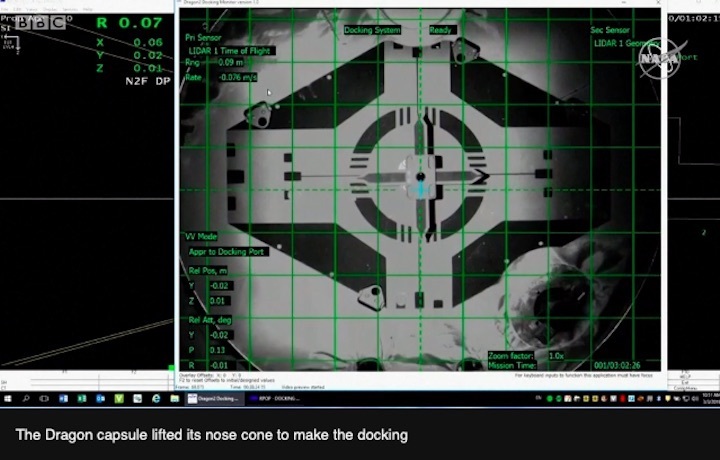 “Just one more milestone that gets us ready for our flight coming up here,” he said on a livestream of the docking. The Crew Dragon capsule launched early Saturday morning from Florida on a SpaceX Falcon 9 rocket. 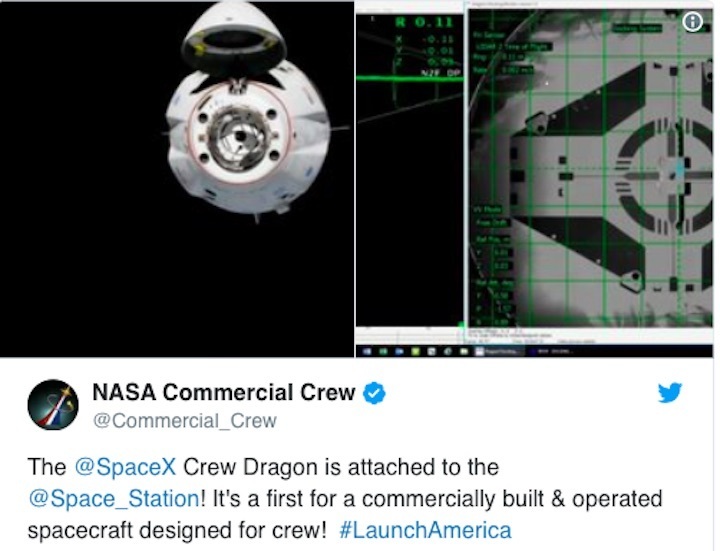 It was Crew Dragon’s first test flight and the first launch of NASA’s commercial crew program — a public-private partnership in which the agency awarded SpaceX and Boeing Co. a combined $6.8 billion in contracts to build separate spacecraft that will take NASA astronauts to the space station. Boeing is set to launch its first uncrewed test mission in April, with a crewed mission no earlier than August. SpaceX’s crewed test flight is set for no earlier than July. 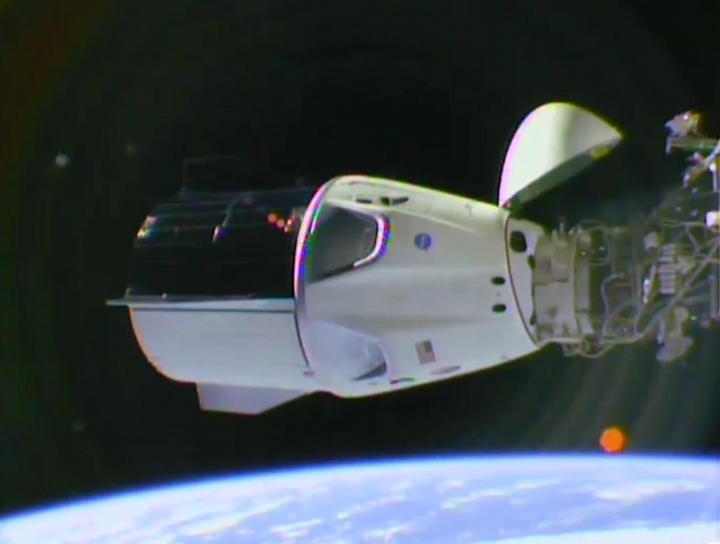 Crew Dragon will remain at the space station for a few days before undocking and splashing down in the Atlantic Ocean early Friday morning, where a recovery ship will be nearby to pick it up. 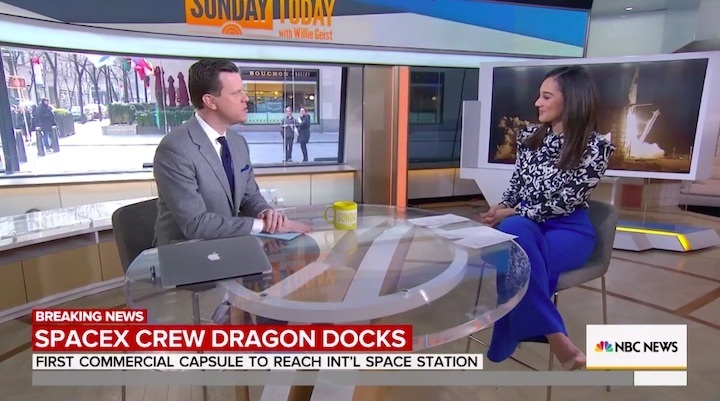 Musk described the capsule’s reentry as “probably my biggest concern.” Unlike its cargo counterpart, Crew Dragon has emergency-escape thrusters integrated into the capsule’s side, making it less smooth, he said. CAPE CANAVERAL, Fla. — SpaceX's new crew capsule arrived at the International Space Station on Sunday, acing its second milestone in just over a day. No one was aboard the capsule launched Saturday on its first test flight, only an instrumented dummy. 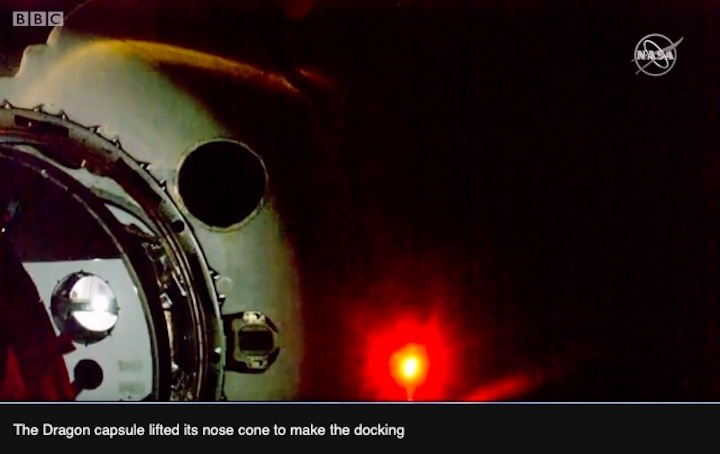 But the three station astronauts had front-row seats as the sleek, white vessel neatly docked and became the first American-made, designed-for-crew spacecraft to pull up in eight years. 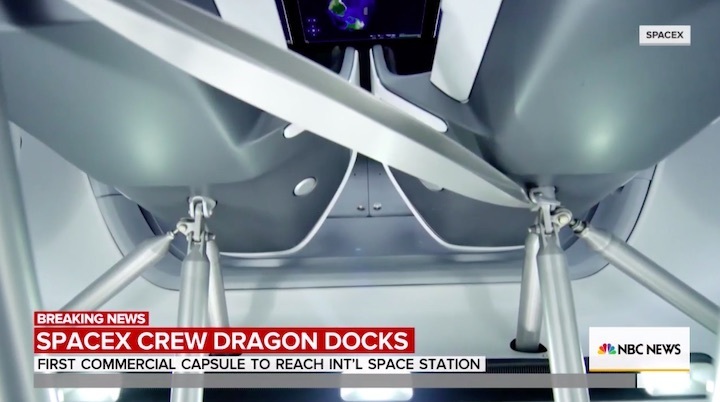 While SpaceX has sent plenty of cargo Dragons to the space station, crew Dragon is a different beast. It docked autonomously, instead of relying on the station's robot arm for help. The spacecraft will remain attached to the orbiting outpost for a week, before undocking on March 8 and splashing down in the Atlantic Ocean, off the coast of Florida, several hours later. The spacecraft is designed to carry up to seven passengers to the space station, but for this flight, the capsule is loaded up with 450 pounds of cargo and a test dummy outfitted in one of SpaceX’s customized spacesuits. 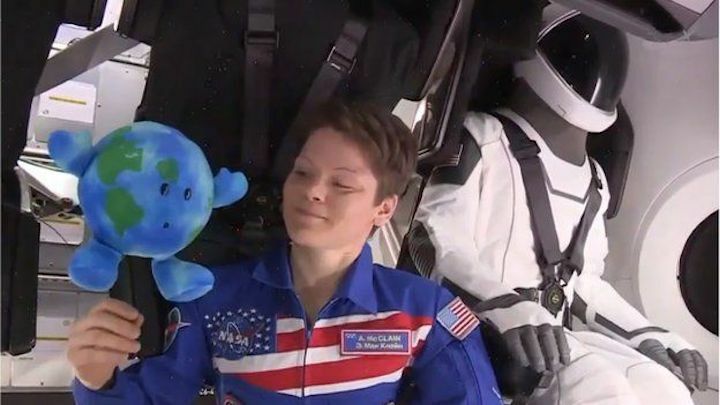 The dummy is nicknamed Ripley, in honor of Ellen Ripley, the fictional character played by Sigourney Weaver in the 1979 film “Alien,” Hans Koenigsmann, SpaceX’s vice president of Build and Flight Reliability, revealed Thursday in a pre-launch news briefing. Last year, SpaceX sent another spacesuit-clad test dummy — this one named Starman in a nod to David Bowie — into space on the inaugural launch of the company’s Falcon Heavy rocket. 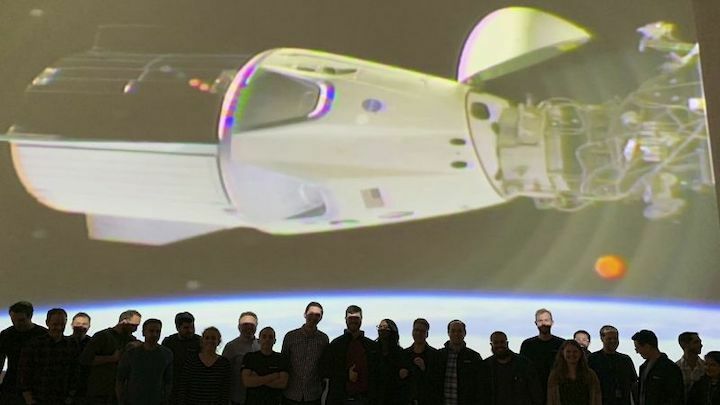 SpaceX’s Crew Dragon was developed in partnership with NASA to help the space agency replace its space shuttle fleet, which was retired in 2011. Since then, NASA has been relying on Russian rockets and space capsules to ferry its astronauts to and from the space station, for a reported cost of $80 million per journey. In 2014, NASA awarded SpaceX and Boeing a combined $6.8 billion contract to build a pair of new spacecraft. Boeing’s CST-100 Starliner capsule could undergo its first uncrewed test flight in April.